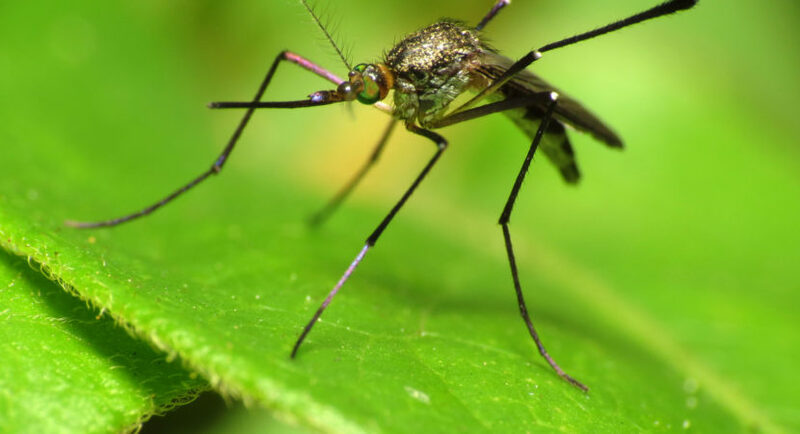 If you are tired of having mosquitoes in your yard and you want to spend more time outdoors, there are improvements that you can make to your yard to allow you to spend more time outside gardening. The scope of these projects will vary based on the condition and size of your yard. You may be able to complete all five in one weekend or you may need to spread them out over time. Mosquitoes love damp swampy places to breed. One of the most important things you can do to limit the mosquitoes in your yard is to address any draining issues that are in your yard. Good Housekeeping suggests hiring a pro to help you tackle this. This is one project where it will pay to consult a professional landscaper or yard designer. They can help you address the grading issues and determine what you need to do so that the water in your yard will drain effectively every time it rains. This project may involve renting a bull dozer and installing a drainpipe underneath the ground or a French drain. If these projects sound too daunting to attempt on your own, it will be worth hiring a contractor to complete it. Another option to consider is to create a natural creek bread that will drain water away from spots where it gathers to the storm drain or drain pipe. If you have a standing pond in your yard, you can add a waterfall to it to help the water to constantly circulate. Mosquitoes do not breed in moving water and changing it to a feature with moving water can make a big difference. If you are interested in setting up a water feature, you need to plan how the fountain will work. One option is to buy a foundation that you can install in the pond and it will circulate the water for you. Another option is to design a rock feature or something similar that the water can cascade down. It is important that you line the pond properly. If you have an existing pond, you may need to drain it to make sure that everything is still in good order and to install the pump. If you have birdbaths in your yard, you can replace them with smaller water fountains. You can buy smaller fountains at a gardening store or you can create them yourselves with a water pump and a variety of flower pots, wooden buckets or rocks. If you look around your gardening store, you may be able to find inspiration and design one for yourself. A third option is to plan new flowerbeds around your yard. The new flowerbeds can serve a few different purposes. You can clear out any areas that may be attracting mosquitoes and other insects because they stay damp due to fallen leaves or bushes that have not been cut back. You can also choose to use plants that naturally repel mosquitoes. If you plant these around your seating areas, you can naturally reduce the numbers of mosquitoes that congregate in your yard. Many people enjoy planning flowerbeds and choosing plants that will look well together. As you select the plants to include in your garden, you need to consider the amount of sun they will get and where they will be placed. Many garden shops will have someone that will help you plan your yard or a new flower bed. This can be helpful if you know that you want to create a new area, but you are not sure how to start. Talented gardeners can create a flowerbed that a has a variety of plants that bloom at different times throughout the year with taller plants in the back and shorter plants in the front. Be sure to include to the plants that naturally repel mosquitoes. Some common flowering plants include marigolds, geraniums, and lavender. There are a number of herbs that you can use including peppermint and basil. Your garden center may be able to offer plants that will work well in beds with these plants. Sandboxes can quickly become a favorite place for mosquitoes to stay. There are steps that you can take to reduce the number of mosquitoes that gather around your sandbox. This is a project that you can complete in a weekend. As a bonus this will keep other insects out of your yard too. Start by replacing the sand in your sandbox periodically. This is a good idea if you are worried about an existing insect problem ad you do not want to use insecticide in the sand itself. You can shovel out the sand that is already there and then check to make sure the bottom of the sandbox is still in good condition before adding new sand. Be sure that the landscaping tarp does not have any tears in it. Create a cover for your sandbox. If you buy an already made sandbox, it should come with a cover. The cover will keep the rain from coming in and keep the sand dry so that it will attract mosquitoes. The cover needs to fit snugly and be easy to use so that you can quickly use it. Some people create covers out of tarps attached to PV pipe, others decide to make the sandbox inside of a tent that they can zip up to keep animals and bugs out. If you sue a tarp make sure that it will not blow away and that it fits snugly to keep water and insects out. Apply insecticide around the exterior of the sandbox as a deterrent to bugs finding their way into the sandbox. You can choose an option that is safe to use around play areas. As long as you keep your children away until it is dry, you do not need to worry. Take time to move the sand around or refresh it every few days. This will stop insects from setting up a colony of some kinds in your sandbox and protect your children from being bitten. Author bio: Miriam Caldwell graduated from Brigham Young University with a degree in English. She has been working as a freelance writer since 2005 and has written on a wide variety of topics ranging from personal finances, home care, parenting, WordPress, gardening to pest control for Mosquito Tek in Raleigh North Carolina. She also teaches writing and enjoys helping others learn something new.